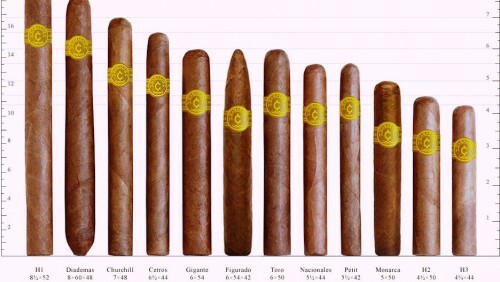 One of the most common ways to categorize cigars is by their shape and size. Although this sounds simple, it can be very confusing for those that are relatively new to the premium cigar world. For many years, the cigar industry has been using terms such as Corona and Panetela, which directly correspond to the approximate length and width of the cigar rather than the manufacturer or brand. Although most manufacturers use commonly accepted size names to describe their cigars, the actual size of a cigar with a particular name can vary among different manufacturers. In addition, cigars are now available in many more dimensions that were available in the past, and many manufacturers have created their own names for certain sizes. Because many manufacturers have been going through great undertakings to bring back the premium cigar era at unfathomable rates, it is not too uncommon to find two cigars of the same size that are being manufactured by different companies that have different names to describe the size. Because different cigar names correspond to different measurements, it is vital for a smoker to be acquainted with methods manufacturers use to measure the cigars so that the smoker himself can do so too. Cigars are measured in terms of ring gauge or length, or sometimes the diameter. Manufacturers tend to express length in inches and ring gauge in terms of a 64th of an inch. The larger the ring gauge, the thicker the cigar is. Manufacturers tend to allow their ring gauges to range from sizes 32 to 52. The two of the main categories of cigars are the figurados and parejos. The Parejos are produced to be straight-sided cigars with an identical ring gauge on both ends of the cigar. Churchill, Lonsdale, Panatela (Panetela) and Corona cigars are classified under the family of the Parejos. The second main classification is ruled out by the figurados. These cigars assume irregular shapes and are usually tapered, having cone-shaped ends or rounded heads and can be closed at both ends. Torpedo, Belicoso, Culebra, Pyramid and Diademas are the cigars that usually fall into the figurados family; these cigars usually contain a ring gauge of 60 or higher. When one is attempting to classify cigars, cigar classification takes place when the smoker discerns the difference between cigars that are 5.5 inches long and cigars that are 6.5 inches long. A short cigar is usually under 5.5 inches and a long cigar is usually over 6.5 inches. In terms of thickness, a cigar that is less than a 42 in the ring size is thin and a cigar over 47 in the ring size is thick. Most thicker cigars are known as gorda, double or grande, whilst thinner cigars are usually called slim or petit cigars. 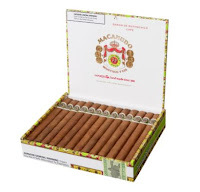 One type of the cigars on the market is known as the Lanceros. Lanceros are long, skinny Parejos, approximately 6-7" x 38 in sizing dimensions. Tobacco companies allegedly report that the Lancero is one of, if not the most difficult shapes to make due to the logistics involved in achieving the trifecta of a balanced taste, open draw, and even burn. Companies and their critics recommend the Lanceros for experienced smokers, however, for the following reasons: they offer a richer flavor, due to a higher percentage of wrapper tobacco and they need to be smoked more slowly and carefully to avoid burn problems, and often require a touch-up. Another cigar that is recommended for the experienced smoker, yet is strongly recommended to be avoided by the novice smoke is the Churchill. The Churchill cigar comes with a middle sized ring gauge combined with the length, making the legendary Churchill a rather complex smoke. It’s 7 inche long dimensions with a ring gauge of 47 to 48 (3/4 inch) renders a pleasurable smoking experience that averages out between 45 and 60 minutes in total smoking duration. The Churchill cigar has been popular for years, and is one of the more “classy” cigar designs that reside within the tobacco market. The Toro is a luscious candy bar of a smoke, brimming with sweetness, yet packing a nice, full-flavored, medium-bodied punch from a longfiller core. Although beauty may be in the eye of the beholder, the belief system of all beholders becomes rapidly synchronized when the user friendly size dimensions of the Toro are considered. At 6"x 54 you get a fortune for your money and an easy to handle, gentle grip for your hands. The Toro’s wider size allows the smoker to experience excellent balance and creaminess while smoking and taking gentle drags. These cigars are usually blessed with redolent flavors of sweet wood, coffee, and a note of nutmeg in the mix. Just about all of the reviews on the Toro are raves, too, earning it a much deserved customer rating of 95. If you happen to search for more of a classic design, the Lonsdale is your answer. The standardized Lonsdale is generally thicker than a Panetela, but longer than a Corona. The classic dimensions are 6 3/4 inches by a 42 to 44 ring gauge. The Lonsdale proffers an purifying, elegant and relaxing 50 minute smoke due to its longer length and smaller ring gauge. The premium Lonsdale cigar is a rather excellent cigar to match one’s endeavors that include a laidback afternoon smoke for the aficionado within the agenda. This luxurious cigar has been named after Lord Lonsdale, a man with an eye for a horse! The Perfecto is similar to a Torpedo, with a closed foot and a bulging middle. The big difference is its rounded head. They vary in length more than just about any other cigar, starting at 4 1/2 inches and going all the way to 9 inches. They also vary considerably in thickness, from 38 to 48 ring gauge. Smoking the Perfecto, they proclaim, is similar to smoking perfection; you can’t go less than perfect! Just like its perfect companion, the Perfecto cigar, the Torpedo varies in length and ring gauge. It is designed with a pointed cone shaped head, bulge in the body, and a relatively flat foot. 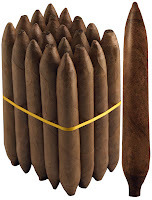 A Torpedo exhibits features similar to that of a Figurado, a cigar with straight sides and a head that tapers. Torpedoes have the cooler burn of a larger ring cigar, but with a smaller head that won't leave your jaw sore. The tapered head also concentrates the flavor, allowing for a rich-tasting smoke. This Torpedo cigar, a single Figurado, embarks the smoker on an hour and a half long journey of a delicious, balanced smoke. 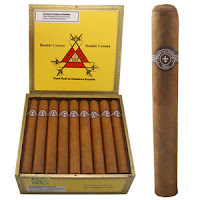 The conic head reinforces the power obtained from these cigars during the smoke. Try the range of strengths found in the Torpedo size and come to a surprising conclusion on how different the cigars of the same type can taste. Another cigar that is currently undergoing the process of resurgence is the legendary Panetela. The Panetela assumes a shape that is a rather longer, thinner Corona. Critic Reports and historians state that Panetelas were more popular and prevalent in the past years as opposed to now, but they're making rapid comeback and are regaining popularity in our modern day society as more and more production companies begin to flood the market with Panetelas. 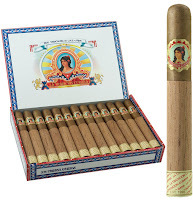 Panetela cigars vary in length from 5 to 7 1/2 inches and carry a ring gauge of 34 to 38. At the incy-end of town, we have the Petit Corona. It's usually only 4 1/2 inches long, with a ring gauge of 40 to 42. The Petit Corona is a miniature version of the original Corona. With a spongy feel, most of the manufacturers that produce the Petit Corona have been known to bless it with a sweet aroma. Consumers report that the Petit Corona has a very nice draw and a fairly even burn that is underpinned by its smaller, more compact design. 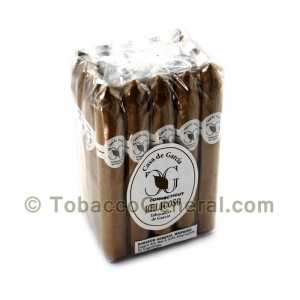 Most manufacturers that produce the Petit Corona tend to infuse it with sweet tobaccos, offering the cigar to taste naturally sweet when the draws are being taken as opposed to being artificially sweetened at the tip. 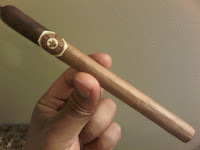 The Petit Corona is generally smaller in size and is used for shorter, more recreational smokes. Coronas are similar to their little brothers; the Petit Coronas. The consumer world reports an estimated smoking time of 30-45 minutes. 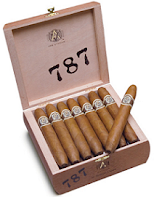 These cigars have traditionally been the benchmark against which all other cigar formats are measured. They generally have an open "foot" for lighting and a closed, rounded "head" which you cut before smoking. 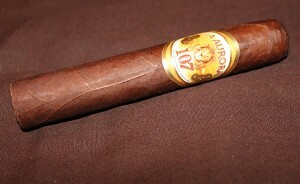 The size dimensions are very popular and are due in full to an easy smoke. The Coronas offer a wonderful choice of aromas across the spectrum of many different brands. 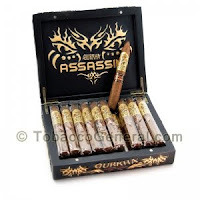 They are ideal in size for the novice smoker of Cuban cigars and render a perfect combination for the aperitif, provided the more hands-on experienced cigar smoker has decided to indulge in drinking of luxurious alcohol and smoking of the illustrious cigar. 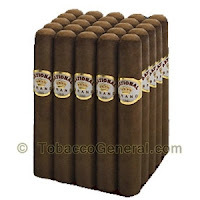 Corona Gorda resembles dimensions of a longer Robusto or Robusto 'extra'; the Corona Gorda's popularity actually preceded that of the world renowned Robusto. Its traditional measurements were sized at 5 5/8 inches in length and a 46 ring gauge. 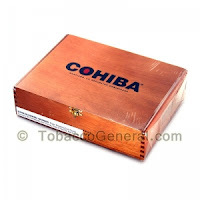 The typical Corona Gorda is designed to allow for a genuine 30-40 minute, uninterrupted smoke. Manufacturers produce the Corona Gorda in such a way, that its aftertaste and draw-taste symbolizes that of a freshly brewed coffee with a delicate mix of half and half milk. What's the point of drinking coffee if you have the Corona Gorda? When it comes to the Double Corona, the name gives it away! Standard dimensions are an impressive 7 1/2 to 8 inches long with a substantial 49 to 52 ring gauge. Spice up your smoke with a cigar that packs twice the punch and keeps the same, great flavor. The Double Corona is known for its different phases and stages in different flavors that are infused throughout different parts of the cigar. Keep smoking as you continue unveiling the flavors throughout the cigar; perfect for a long day's worth of smoking. A historian that attempts to list many different cigars types cannot publish a complete list without including the Belicoso cigar. This cigar is about 6 inches long and is designed with a ring gauge of 48 (~3/4 inch), all finished with a pointed cone shaped head. The smoker will get his best experience from the Belicoso in about an hour from end to end, where the smoke is underpinned by a strong and rapid flavor. These sharp shaped cigars have a loyal following due to their conic head shape which amplifies its redolent aromas and flavors. The legendary Robusto is about 4 1/2 inches in length, bearing a ring gauge of about 48 (~3/4 inch) and averages to a well balanced, 45 min smoke. The Robusto cigars are the traditional Cuban cigars which are still, to this day, the most popular type of cigar smoked by the Cubans. The Robusto’s big ring gauge packs mean flavor, and big power for the premium cigar smoker. The Robusto is, therefore, a perfectly suited cigar that is upheld by an excellent development, richness in flavor, and a plan for a memorable smoke that does not take a monotonous 3 hours to unveil. To avoid confusion, it is easier to refer to a cigar’s length and width to describe its size. The length is measured in inches, while the width is measured by ring gauge, which is the diameter expressed in 64ths of an inch. Despite all of the inconsistencies with cigar names, it is still more interesting and exciting to describe the different sizes and shapes of cigars with names rather than with numbers. Creativity is all a part of the cigar mystique. The smoker will get his best understanding from the Belicoso in around a hour from end to end, where the smoke e-juice distributors is supported by a solid and fast flavor.